What brought you to The Fold? Hannah and I have always felt a strong calling to youth ministry. A missionary who was serving at The Foldsent out a newsletter which we read and connected with. It wasn’t long until we were on campus experiencing God’s transforming grace in these students’ lives. It was an instant fit for us. Describe your passion for seeing Jesus restore the lives of teenagers and their families. I watched God get a hold of my heart and change the direction of my life in my teenage years. I’ve also seen what happens when teenagers wander and how long it takes some of them to get back on track. While God can transform a person of any age there is something precious about seeing a teen embrace faith in Jesus. 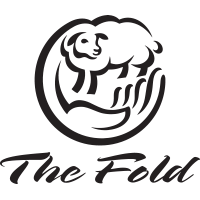 What brings you the most joy in the day to day goings on at The Fold? I enjoy watching the staff, students and parents grow in Christ! It’s a delight to watch those Holy Spirit enabled “ah-ha!” moments. I also feel a great sense of joy and awe when God chooses to use me in His plans. What is a Scripture that has revolutionized the way you serve at The Fold? Galatians 2:20, Colossians 3:3, Romans 6-8 along with others in the same theological thread: Identity in Christ. In a world that believes “you are what you do”, God comes along and says, “you are who I made you to be”. For a believer who has been crucified with Christ and is now righteous in Christ- this is a big deal. We aren’t trying to pretend to be something we’re not. The Holy Spirit is actually teaching us to live out of who we were remade (reborn) to be. It's not pretending, it's embracing true life, which Comes from Jesus. This changes the way we serve as we no long try to please God, but instead connect with Him through relationship and desire to walk out the good plans He has for us. I start learning how to actively abide in Him. Which biblical figure do you relate to the most? This is a tough question! My answer would be different at different stages of my life. At times I connected with David, a man after God’s own heart. Other times it is Joseph, chosen by God to be a leader and be greatly blessed in due time. Sometimes it is Job and his long suffering. And then there are times when the zealousness of Paul for Christ connects most with me. Right now it may be Abraham and his waiting on the promises of God. What are the five items that you would bring for a year stranded on a deserted island? Is the Fold planning on sending me on a tropical vacation? Can I bring my wife and kids? What is a quirky or unique habit that you have? I like the color green, so I use a green pen to sign everything in the office.